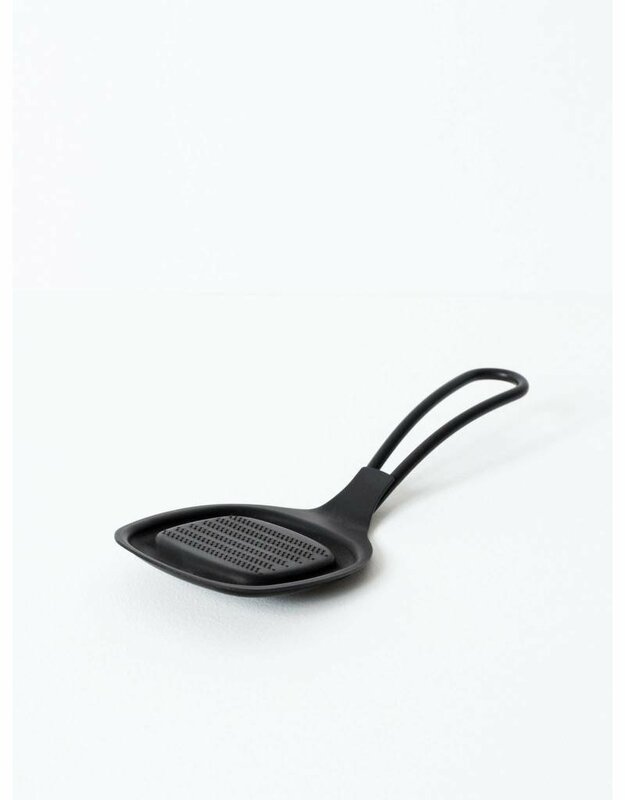 Named after the Japanese word for “condiment,” the Yakumi Zester is perfect for making fresh toppings like wasabi and ginger. 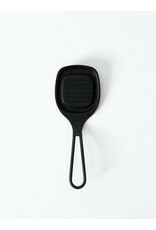 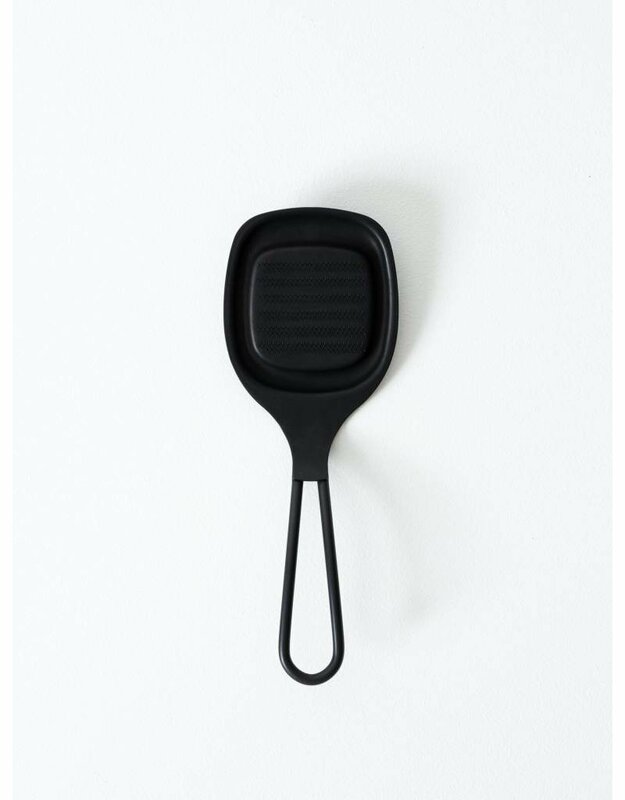 This everyday tool was designed with ergonomic features that eliminate the daily hassles of food prep: a flat base and a weightless angled handle allow you to rest the zester directly on a tabletop for easy, effortless grating. A shallow edge surrounds the fine teeth, to collect shavings and zest.